To make a difference in the lives of others in your community and around the world! To work side by side with like minded people in the spirit of giving while you make life long friends. Through Lions International there are numerous opportunities to meet people whenever you travel. The Lions logo is one of the top three recognized logos worldwide. See us in action. 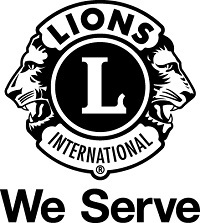 Visit a meeting as a guest, come to an event with a Lion friend and participate in volunteering and see how we serve.